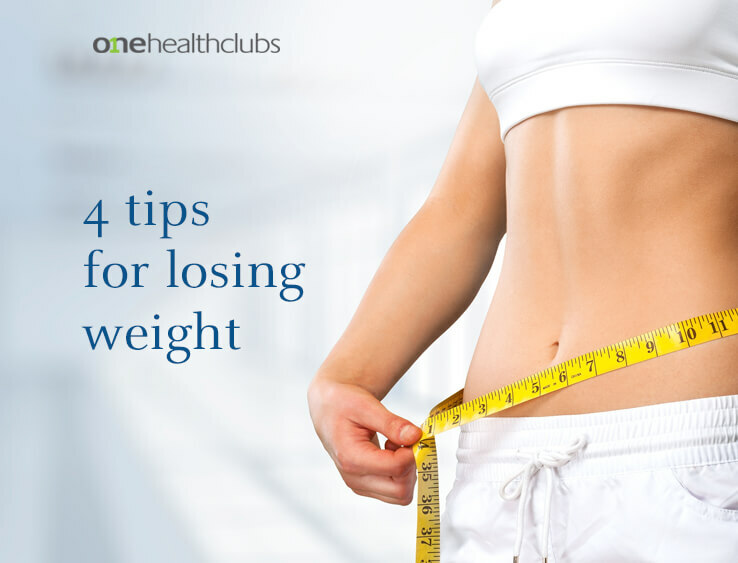 Trying to lose weight can seem daunting. There are so many commercial diets on the market, each giving us a different message about what we’re supposed to eat, which foods are evil, and why we’re failing. The reality is, simple changes to your lifestyle and your mindset will produce results. By setting small, attainable goals for yourself you will be much more likely to stick with them and stay motivated. When we only look at the big picture of our goals (i.e. lose 50 lbs) it can seem intimidating and we can feel lost at where to even start. Instead of saying “I’m going to eat healthy this week,” which is a very general statement, make small weekly goals for yourself, such as packing your lunch or make a protein packed breakfast in the mornings (sustainable and realistic). Now is the perfect time to reset and get re-organized. Step one is to toss any old items that may be lingering. Cut up your fruits and veggies and keep them in eye sight. Get organized and have a few quick grab and go healthy snacks on-hand. This is honestly a game changer! Having a clean organized fridge will help you avoid wasting that beautiful produce you bought and will speed up your meal preparation time. This is key. Aim for 2-3 L of fresh water per day. Start your day with filtered water and freshly squeezed lemon juice. This helps to promote detoxification, wakes up your digestive system and will leave you feeling refreshed for the day ahead. Starting your day with protein, you will give you metabolism a boost! Protein is one of the most satiating macronutrients and keeps your blood sugar levels steady, which will help get you through your morning. Some of our favourite protein packed breakfast ideas include: vegetable omelette with avocado, greek yogurt with berries or a protein packed green smoothie! Need a plan of action? If you’re looking for a way to kick start your goals, eat healthier and feel amazing, we’ve got a plan for you! Click here for a free 15-minute nutrition consultation with one of our Nutritionists.